This week a senior executive with the Kerry Group went to the High Court to protect his position when faced with what he considers is a demotion. The Company alleges that there is ongoing restructuring - but having failed to convince their employee that this is the case (and without having his consent to the change) - they will now have to back that argument up in a very public and costly forum. We are frequently asked for advice on how to make changes to terms and conditions of employment - and the bottom line is that where the change is significant, and/or adverse to the employee, then the consent of the employee will be required (or, in a unionised environment, changes can be achieved by collective agreement). Consent should be express, whether written or verbal, and following on from proper consultation in which the reasons for the change have been explained, and the employee given an opportunity to make submissions in relation to same. In some cases, consent can be implied - for instance, where the change is not significant, and the employee has continued to work without protest. In circumstances where, for genuine business-related and objective reasons, a re-organisation/restructuring is required, an employer may be able to justify unilaterally imposing the changes. However, in all cases where changes to employees' terms and conditions are proposed (whether individual/collective), employers should seek legal advice on the best way to approach same, to avoid a situation escalating to the point of the employee seeking to restrain the changes from being implemented. A senior food company executive has gone to the High Court in a row over a purported change to his job. 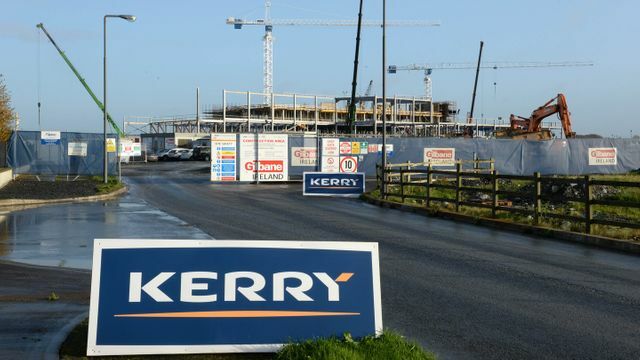 Barry Synnott claims a contractual entitlement to hold the position of business president of Dairy Culinary Systems and Flavours Division of Kerry Ingredients and Flavours Ltd. He has initiated proceedings against Kerry Ingredients and Flavours Ltd and the Kerry Group. On Monday, his counsel Marguerite Bolger SC said Mr Synnott was a “shining star” within the group who had generated huge profits for the company. Mr Synnott is alleging he is facing demotion, the judge heard. The claim is denied and it is contended re-organisation is taking place.